The 54-year-old actress accidentally drowned last month at a Dubai hotel. 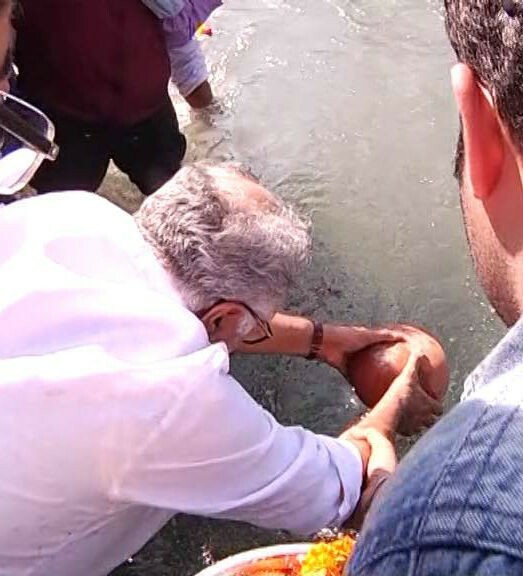 A part of the ashes of Bollywood actress Sridevi were immersed in the holy Ganges in Haridwar in Uttar Pradesh on Thursday by her husband and film producer Boney Kapoor. He was accompanied by family friend and Rajya Sabha member Amar Singh, younger brother Anil Kapoor and other family members. Boney Kapoor broke down at one point as family priests Shiv Kumar Paliwal and Manish Jaiswal performed religious rituals at the VVIP ghat. 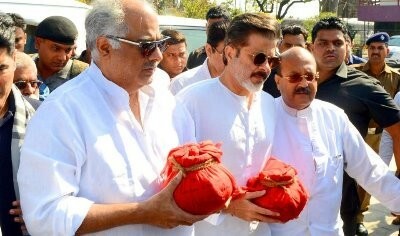 Anil Kapoor consoled his elder brother. Uttarakhand Agriculture Minister Subodh Uniyal and Haridwar Mayor Manoj Garg were present during the immersion of ashes in the Ganges. Earlier, the family carrying the ashes in two urns landed at the Jolly Grant airport in Uttarakhand's capital in the afternoon and then drove in a fleet of cars to Haridwar.